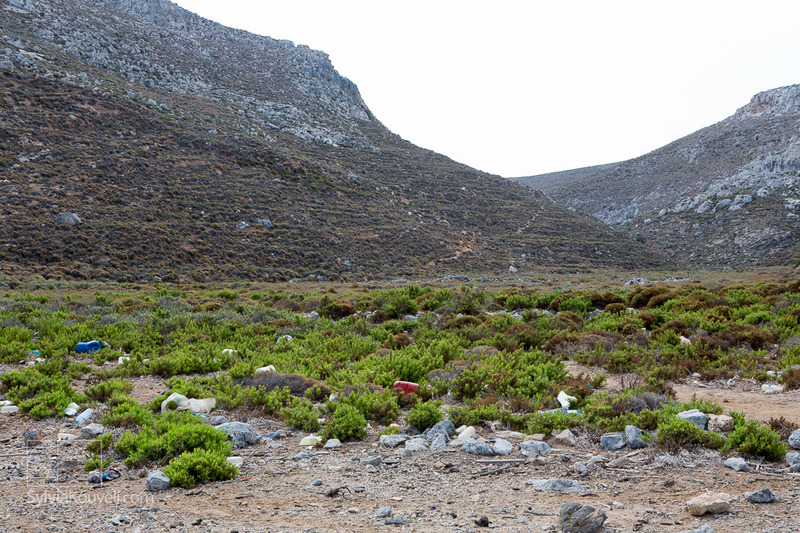 Kalymnos may be an island known for rock climbing and scuba diving, but it’s also great for hiking! During my short stay on the island I managed to hike a few of the paths, but there are still many more to discover. On the day I was trying to find my way to Sikati cave, I took a path that leads to a beach. All along the descent, I was saying how wonderful this bay is, how amazing it would be to camp there and how amazing everything looks. Unfortunately, once I arrived on the beach, I quickly changed my mind. 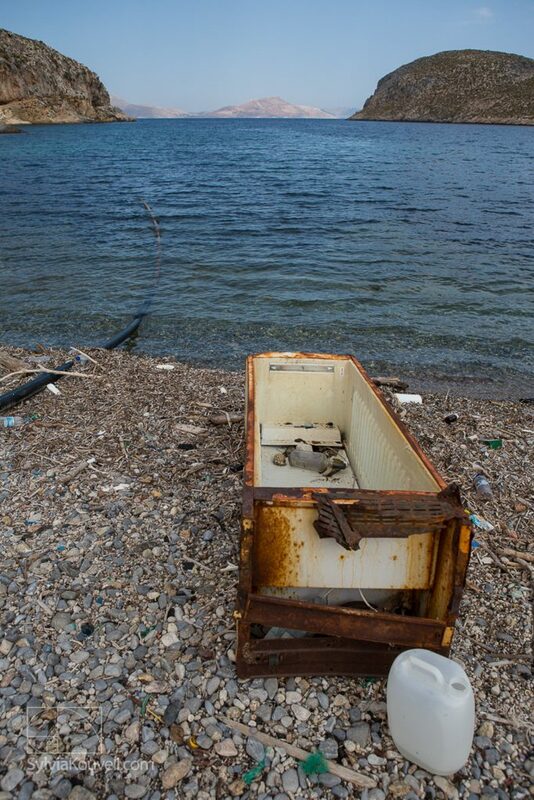 This beautiful landscape, that’s actually a natural fjord with crystal clear waters, was completely covered with garbage! I was absolutely shocked and appalled with the amount of trash that lay there! There was all sorts of discarded objects in the sea, on the beach and even in the bushes behind the beach! I was devastated. This is a beach close to a frequented spot, Palionisos Cove, and it’s also on the way to a climbing sector (for those of you who have the climbing map, I believe it’s sector 5). During the time I was there, several tourists passed through. Imagine the disappointment after the 30 min. hike. 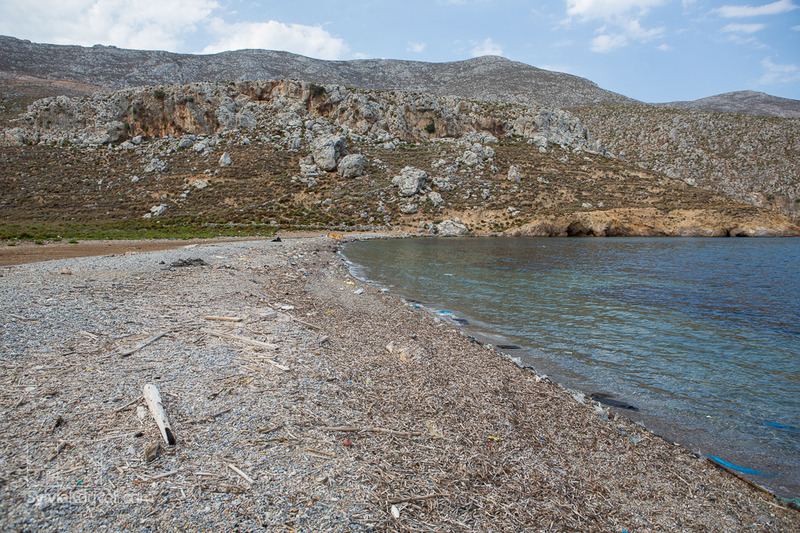 Why isn’t the administration of Kalymnos doing anything about this beach? 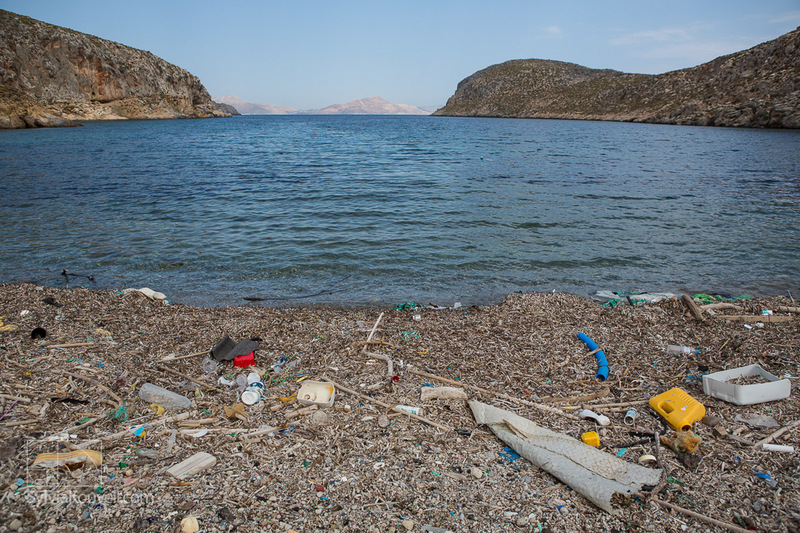 Why isn’t there a yearly beach clean up event, calling on volunteers to help collect the trash? Local fishermen can also volunteer by bringing out their fishing boats, loading the garbage bags on them and taking them to the designated garbage disposal area. Imagine what 5, 10, 15 people can accomplish in only a day. This beach can be reclaimed and enjoyed by all. 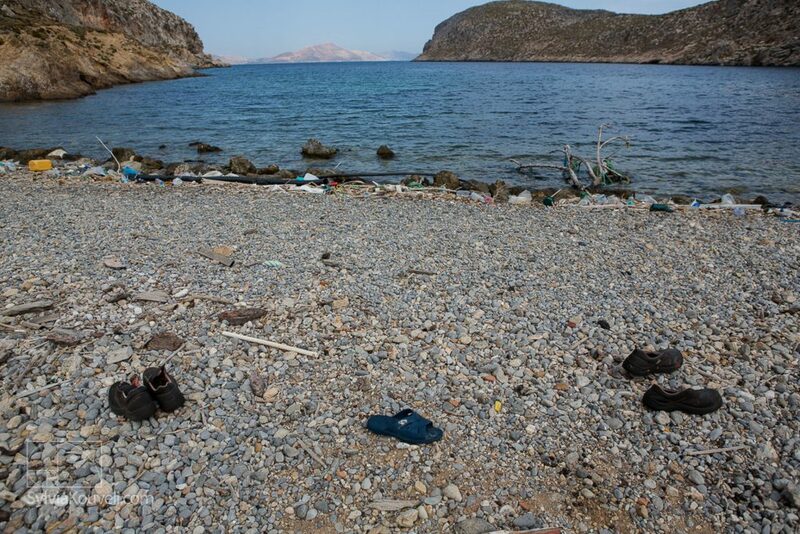 Shame on you Kalymnos for turning a blind eye! 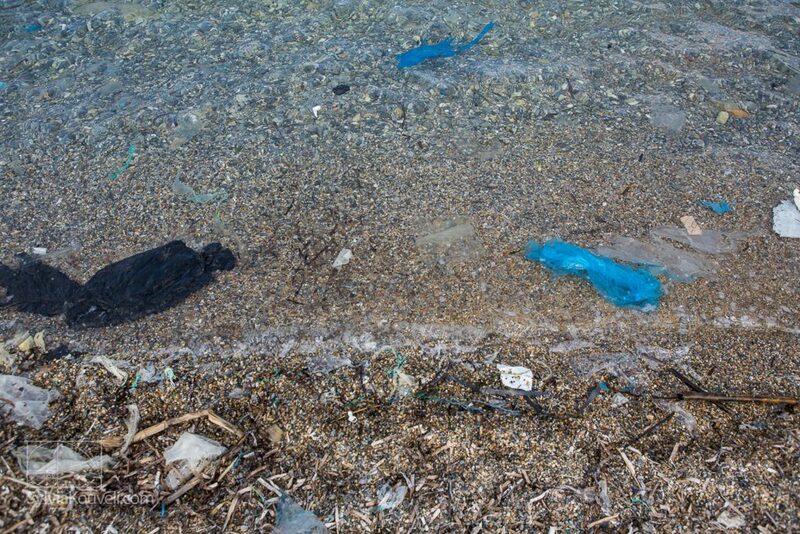 It makes me so sad that every year I find a beach similar to this one. Remote, beautiful, full of garbage. Last year it was one of the less accessible beaches in Mali, on the island of Tinos. You can see what it looked like here. No more excuses, we all need to pitch in.